Explore the Ward Irish Music Archives' award-winning digital collections. From cylinder recordings of Irish musicians in Chicago dating to 1904 to the latest videos from last year's Milwaukee Irish Fest, you'll be able to experience Irish music in various genres throughout its history. 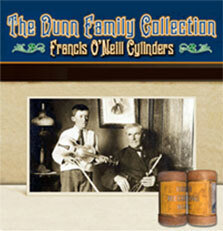 This online digital collection includes 32 rare cylinder recordings of uilleann pipers and fiddlers collected by Francis O'Neill in the early 20th century. This online digital collection includes gives music lovers the opportunity to explore thousands of pieces of Irish sheet music created between 1750 and the present. 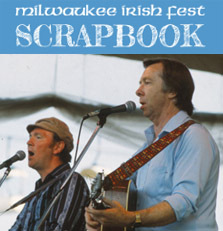 This online digital collection looks at the history of Milwaukee Irish Fest through photos, videos, and audio over more than 35 years. Listen to Barry and Jeff chat about the Ward Irish Music Archives on WUWM's Lake Effect. The Story of the Magnificent Flanagan Brothers by Mick Moloney. Fulfilling its role as a year-round educational arm of CelticMKE, the Ward Irish Music Archives has developed several physical and online exhibits that explore a number of Irish music topics. These exhibits are featured at festivals and events across the United States each season. Here is a sampling. Show All to view more. Watch short music videos featuring popular Irish songs produced between 1940 and 1946! This exhibit explores the early Irish saints and the monastic system for which they are so well known. 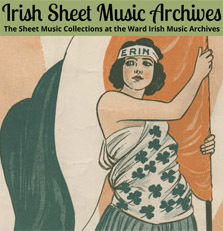 Established in 1992, WIMA houses one of the largest public collections of Irish music in America. The pieces in the Archives, as well as events, traveling exhibits, CD projects and our online digital collections ensure this important part of Irish American history is preserved and accessible to collectors, enthusiasts, students and lovers of music in any form. Learn more about Archives events, services and how to schedule a visit to WIMA at the CelticMKE Center in Milwaukee.